inspired by the daring dexterity of soaring urban skyscrapers, simply city pushes the boundaries of bold, functional design to new heights. featuring long, lean limbs and a repeating ladder-like design, this collection, created with small spaces in mind, makes use of every inch of space. 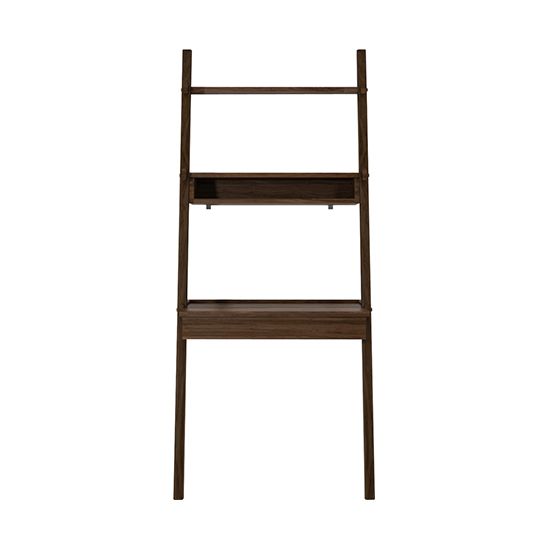 with the dark hues of solid, sustainable, American black walnut wood, this ladder design includes a chic leaning desk, complete with a drawer and shelf for storage. it's just what you need to create the perfect work area, no matter how modest your space. 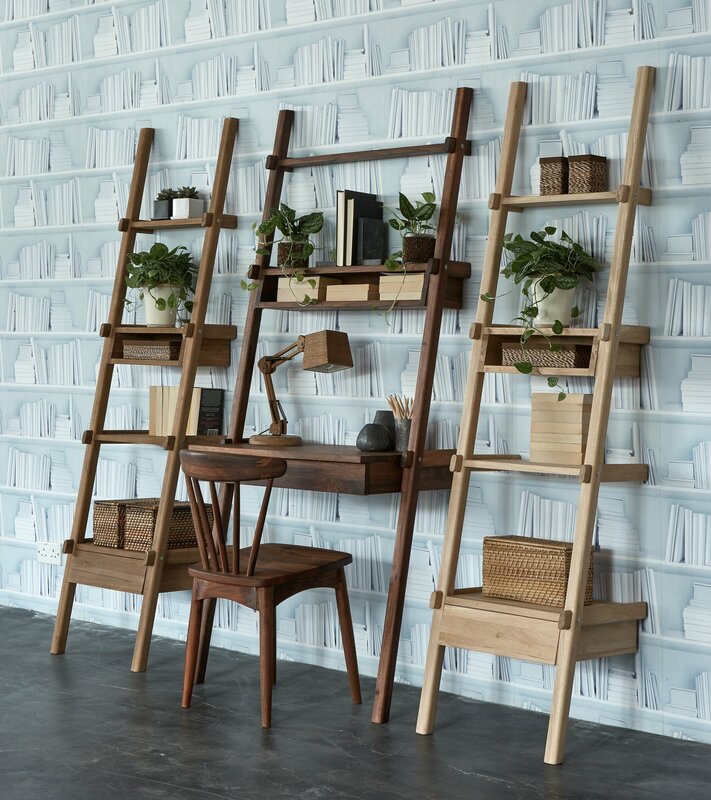 with the light, bright hues of sustainably sourced solid European white oak wood, this ladder design includes a chic leaning desk, complete with a drawer and shelf for storage. it's just what you need to create the perfect work area, no matter how modest your space. simply city ladder desk with 1 drawer, 1 shelf was added to your cart!